I did a review/giveaway for Zutano last year and loved the clothing they sent so much I just HAD to feature this wonderful company for the Twins’ Birthday Event! 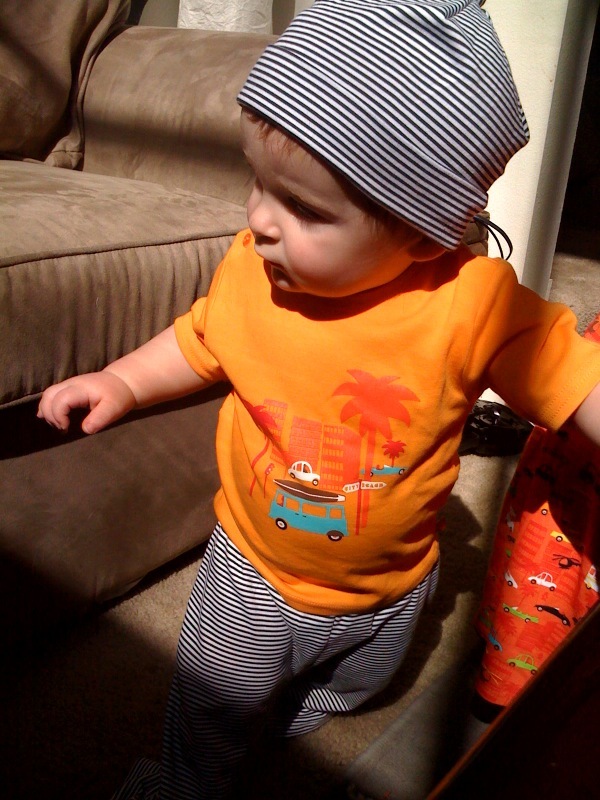 Zutano specializes in whimsical, fun, organic clothing for infants, babies, and toddlers. They also have special twin mix & match sets as well as har to find preemie sets! I was sent a set each for Dylan & Riley in a cool retro car theme. Consists of a tee, striped pants, jacket, dress, leggings, and hat – all coordinating and mix & match! I always told myself that if I ever had twins I wouldn’t dress them all matchy-matchy, but that’s changed since Dylan & Riley have come into my life. They look so cute in coordinating pieces! It’s often so difficult to find outfits that go together. Either they are too boring and plain, or too boyish or girlish. 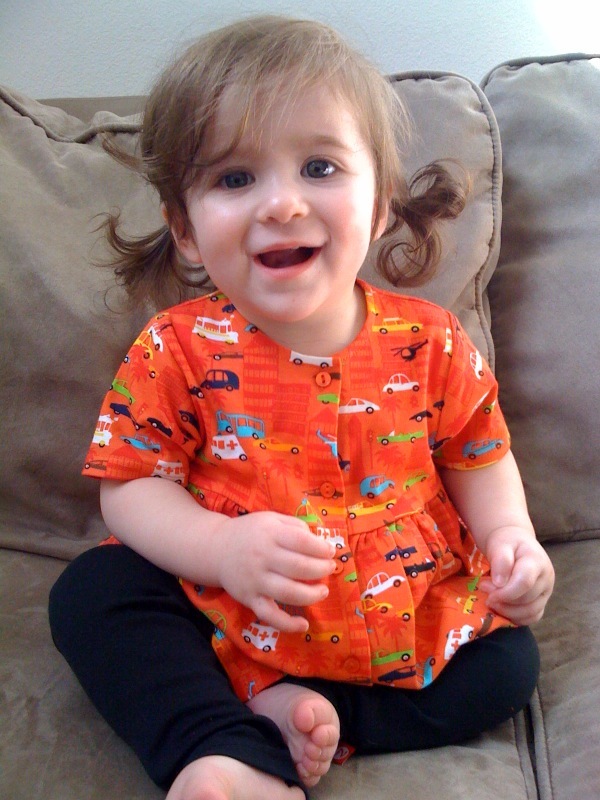 I love that Zutano has fun fabrics and patterns that are still neutral for boy/girl twins. They also have several pieces with prints especially for boys or girls. I LOVE the way the fabric feels – so soft! And they look super cute, right? RIGHT! Visit Zutano online for some super cute clothing for your little one! One very lucky reader will win a $75 Gift Certificate for Zutano! Visit Zutano and comment back with your favorite item! Giveaway ends Tuesday 4/26/2011 at 11:59pm PST. Winner will be chosen via random.org & has 48 hours to respond to my winning email! Please make sure to include your email in each comment unless it is in your profile. Giveaway open to the US only! Please do not enter if you have won in the last 3 months! oooo I REALLY want this giveaway! I’m a HUGE Zutano fan! Just visited the website and I’m in love with the "Sputnik" print! I’m following Mommy Wants Freebies on Twitter! I liked Zutano on FB! Subscribed to Mommy Wants Freebies email! I like the Toddler Long Sleeve Blast Off Screen T-Shirt. I like the owls interlock lookbook! My favorite item is the Forest Fun footie! +3 I entered your bath luve giveaway too! I follow/like Zutano on Twitter- danellejohns. I LOVE their fleece booties – they are the only ones that stay on! I liked Zutano on Facebook. The owl print is my favorite! I also liked Mommy Wants Freebies on Facebook! The Terry Toddler Owls dress is adorable! I love the kimono onsies! Very cute patterns!